Please email megan@fancypantsdesigns.com with your shipping info!! Congrats to you lucky winners!! Check back monday for new project ideas!! WeEklY PRoJect #1- Round 2! How's that for soon?..... :) This weeks project was created by one of our BRAND NEW Design Team Members!! !...Ronda Palazzari... We are so excited to have you part of our team Ronda!! 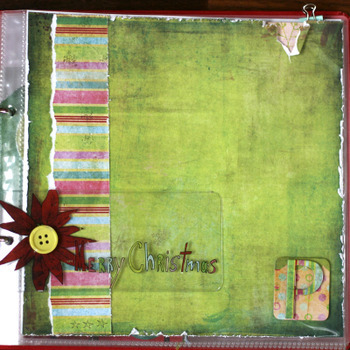 Using everything Happy Holidays, Ronda made this super cute Christmas album! 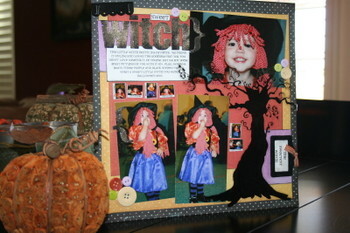 Check out these cute pages! 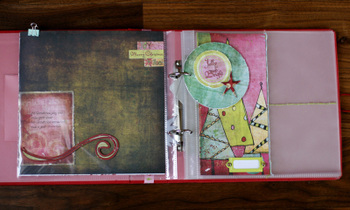 Each of the following are different, how fun to do each different, or alternate styles! Thanks so much Ronda! We are excited to see more from you! So, we've been keeping a pretty good secret here at the Fancy Pants shop...2 NEW releases! We wanted to do something new and fresh from Fancy Pants, so we've got a Winter line and a Valentine's line! 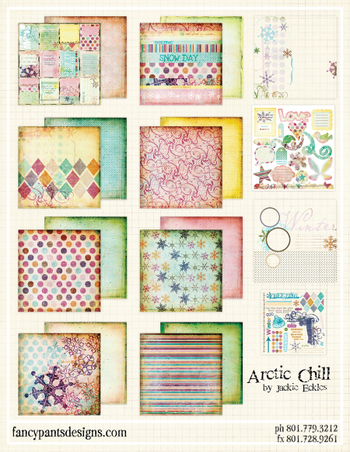 The Arctic Chill line, by Jackie Eckles, has some of the best colors for Winter... if you don't have snowy winters where you are, no problem, we've got some bright, beautiful colors for those SUNNY winter days! I love the big snowflake patterns, but I also love the bright yellow polka dots and sophisticated damask patterns...and funky flourishes...and...and... see for yourself :)! And, then there's Splendid! A very Splendid set, indeed! I think one of my all time favorite papers is here in the Valentine's Cards...I've already got my little Abbi on board for using them this coming 'Love' Season! They are awesome...in fact, our designer, Michelle Coleman, drew these little characters herself...amazing! I love all of the traditional, with a twist, colors used throughout this line! So, there it is...our big surprise! This product will begin shipping on November 1st and that means that we will have a few little shipments of our own to go out :)... so, if you're interested in receiving one of these little boxes let us know why!! Random winners will be chosen and announced next week...the special packages will ship out when orders begin shipping!! Woo Hoo...it's good to be Fancy! I used the Daily Grind (black polka dots, dark orange); All Fall (orange polka dots) and Daydreams (purple) papers to get the Halloween color scheme. Our Spooky Tree Glitter Cut; Daily Grind and With Love Buttons, Say It Simple Letters and Felt from our With Love set! 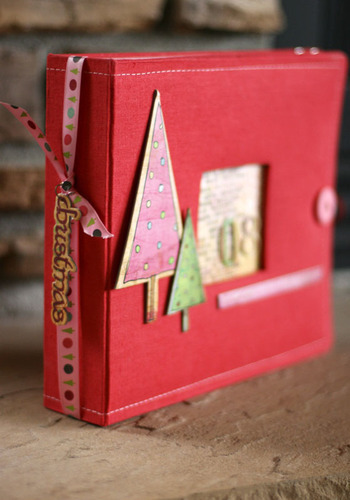 Here's a trick: Add gold/silver embossing glitter to your painted chipboard letters. This ties the title together with the glitter cut (which you can't see great in this shot ;P) on the tree. So, I painted the chipboard black to match the page, then I added some embossing powder.. a fun trick that makes the title a treat for the page :)!! I trimmed the two vertical images to zoom in on her costume...the top photo is a 4x6 image. I placed the tree on top and beneath some of the photos for a layered effect...and to keep the focus in the right places! I also used some of the extra index photos as little accents to the page design! 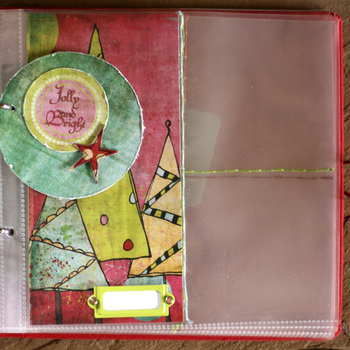 Add your journaling (font: Old Type downloaded from twopeasinabucket.com), buttons and felt and you've got a fun page that is pretty quick and easy to create...the glitter cut is the main embellishment on the page and it's already done for you!!! 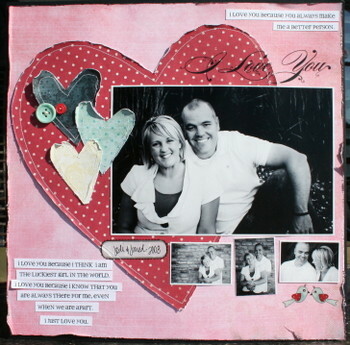 Now...it's your turn... tell us about one of your favorite scrapbooking "treats" from Fancy Pants and we'll pick 3 scrappers that will win a mix of the supplies that were used to create this page!! Happy Halloween.....Jodi. World Card Making Day is today!!! What a fun day to celebrate all the reasons that we make cards! Welcoming new babies, new neighbors, a note to a dear friend, thank you's, birthday's, condolences and so much more!!! Here are a few of our recent favorites! 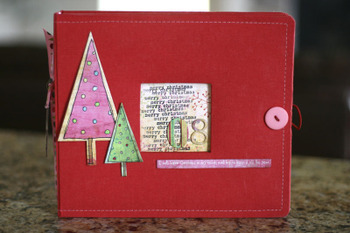 And I love this card from our talented DT gal, Cindy Tobey! 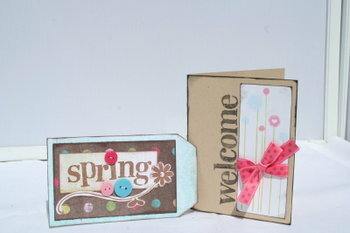 An adorable card that can be used for many occassions to brighten anyone's day!! 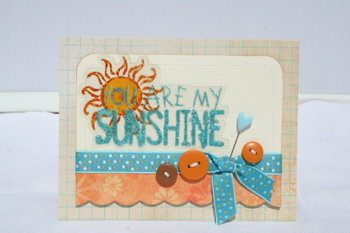 She used one of our fun Glitter Cuts (You are my Sunshine) for a sparkly addition to the True papers and Kewl Ribbon, Harvest buttons and Splash set pin! 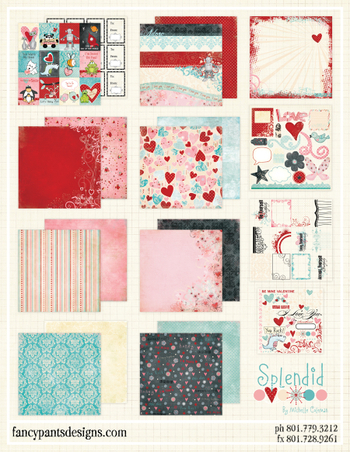 And just a couple more simple pieces from Jodi Sanford using stamps from our Doodles and Things set and our Fresh Mod set! 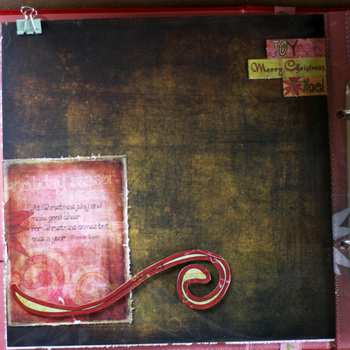 The papers are from our Simplicity line and ribbon from the Kewl Ribbon set and buttons from our Splash button sets! The tag is a fun little bag topper (filled with treats, of course) for your favorite neighbor... or a welcome tag for the newest neighbor to join your street! And, in honor or World Card Making Day, we want to see your favorite cards that you've designed. One entry per person...we'll pick 5 RANDOM winners from those that send us their card images! Email megan@fancypantsdesigns.com with CARDS in the subject line. Please keep attachments to 500kb or less! Please send all submissions by Tuesday (Oct. 7th)at midnight EST :)! We'll also feature some of the cards we receive on our blog in an upcoming post (with permission)!! Happy World Card Making Day! 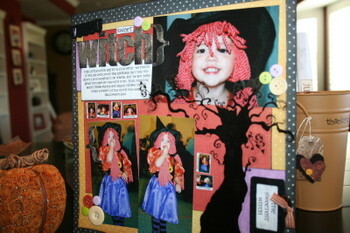 Make and Card and send it our way! Side Note: We'll be announcing the random winners of our last drawing on Monday!